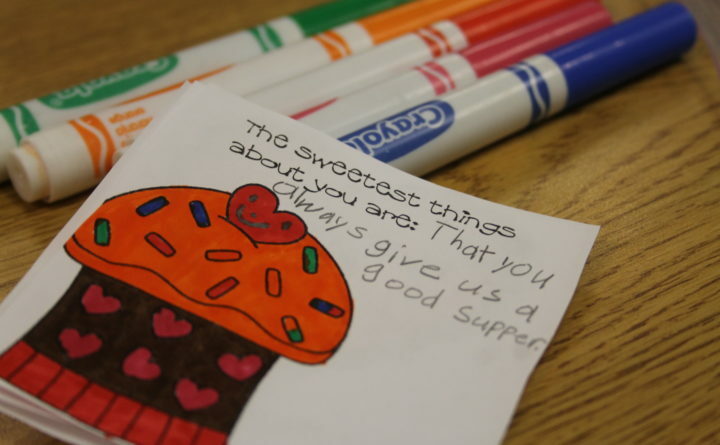 One youngster in Joan Albert’s third grade class at Madawaska Elementary School created this card Friday, May 4, 2018, to give to mom on Mother's Day. They carried us in their wombs for nine months, endured the pain of childbirth, cleaned, fed and sheltered us for years, and, when the chips are down, are always there to tell us they love us. Mothers are most worthy of praise, and Mother’s Day is a holiday anyone who had a mother (that’s all of us) should mark with appropriate fuss and affection. It is celebrated in dozens of countries around the world. The modern American version was proposed in 1870 by Julia Ward Howe, the abolitionist, social activist and author of the poem “The Battle Hymn of the Republic.” The holiday was copyrighted by Anna Jarvis, a West Virginia woman who wanted to honor the memory of her late mother. In 1907, two years after her mother’s death, she embarked on a campaign to make it a holiday, and in 1914 it was nationally recognized. Twenty-first century moms face challenges that could not be imagined by Ms. Howe or Ms. Jarvis, such as juggling work with parenting and with co-managing the household. Their role often is diminished, or at least undervalued by the popular entertainment media. An estimated 70 percent of mothers of children under the age of 18 work. Three-quarters of these mothers work full-time. Yet, according to a Pew Research Center survey conducted in 2012, only 30 percent said full-time work was the ideal situation. Although this a significant increase from 20 percent in 2007, most mothers want to work part-time. Six in 10 working mothers said part-time work “would be their ideal,” the Pew survey said. Twenty-percent would prefer not to work at all. These working moms are still making less money than their male counterparts and 40 percent of working mothers say having a family has hindered their career advancement. A mother’s charge is daunting. She often is the primary caregiver of children. She must dispense discipline, and yet, summoning the traits for which her gender is well-suited, she also must provide ongoing nurture and instill a sense of security and unconditional love. Mothers are like airline pilots; when their children achieve liftoff into responsible adulthood, they don’t win gushing accolades, for that is what is expected of them. But when their offspring fail, they shoulder the blame. So it is entirely fitting to reflect on the vital role our mothers played, and play, in our lives, and to thank them. Take the time to do so. And don’t eat all the candy.